Scratch that- the best ones available, period. This is my go to, coverage from 1-10 would be 4.5 but it goes on completely undetectable. It’s not Dewey, but not dry either. 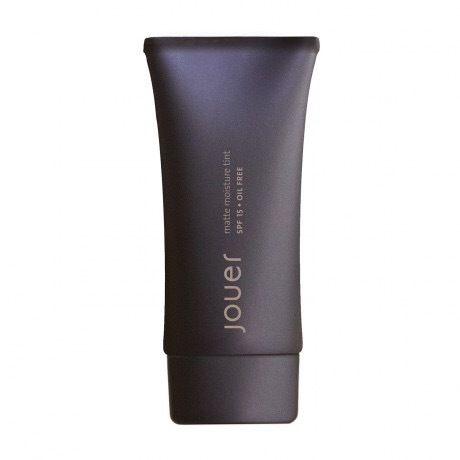 It’s goes on smooth- I apply with finger tips, and seems to absorb quickly. It just creates a natural look. It matches my skin perfectly- Alaska. Another huge plus, doesn’t seem to wear off and blends with my custard concealer (Also NARS) PERFECTLY. I don’t set it with a powder either. This is a new edition to my bag, and is currently in my purse Bc I have been traveling the last couple days. On long flights- I freshen up before I deplane. This is more sheer than the nars, a little stickier than nars, and aims for more of a Dewey appearance. So more moisturizing. Coverage is a 3, and it does need time to absorb. Overall it creates a Dewey look, but actually makes overall appearance better I think- even plumper. Great product. This creates a glorious canvas for concealer- completely sheer – but if you are using concealer who cares. It’s light, and seems to create a glow. It may break some people out- but it’s a nice change from the others. These two moisture tints are incredible. I found the brand through birchbox and bought the first one without even trying first Bc of the reviews. The texture is gorgeous- you can see the illuminator in the cream. Takes some blending in- just with fingers, but once it sets for a couple minutes, wow. It’s sheerish- like 4 on my scale. It’s a tad sticky – but I LIGHTLY set this. If I use powder blush it really attaches to my skin with this on. It’s not my everyday but it is definitely worthy. 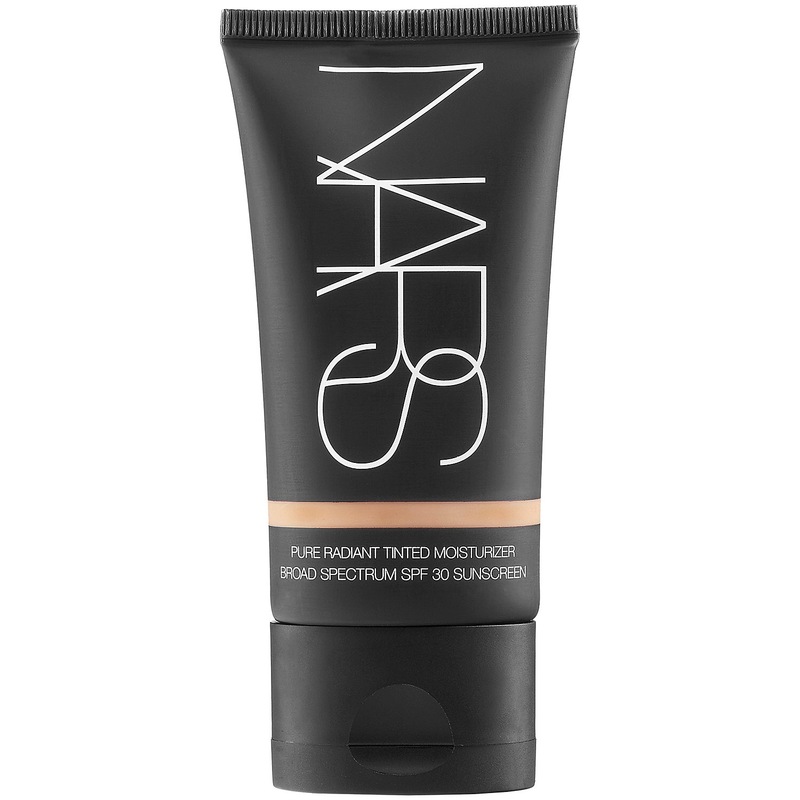 The MATTE version of this reminds me of my NARS a lot, but it’s a bit dryer. It comes out almost looking like a tinted primer, but goes on very ‘clean’ feeling. I can’t wait to use this one in the summer. In case you haven’t heard of them- revision is a skincare company that is normally sold through physicians offices. That is where you should buy it- however there are online retailers available. It is one of those private, honorable companies creating Reputable, ethical and LEGIT skincare, with amazing ingredients. They take pride in their products- and it’s obvious when you use them. 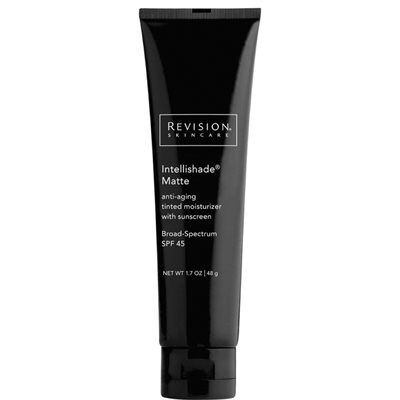 This product- the intellishade, is what I would consider WEARABLE SKINCARE. 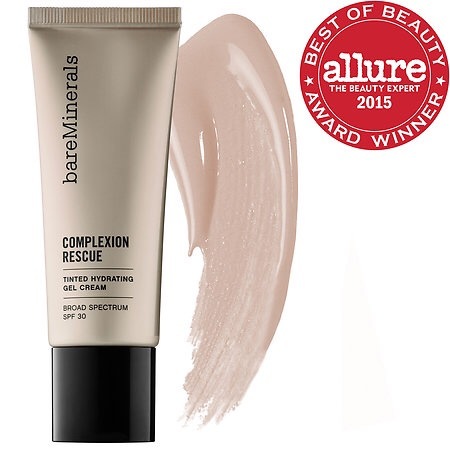 Coverage is 3.5, consistency is creamy and it sinks in within a minute. 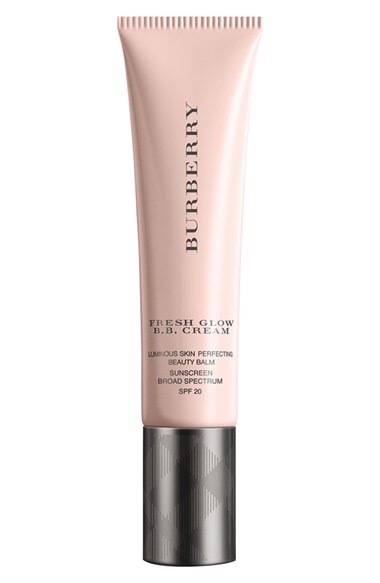 Good SPF, coverage, and it’s working for your skin while you wear it, while acting like makeup. This is a product that makes you feel like you are doing something good for your skin when you put it on. Like, how you feel when you go with a green drink in the morning instead of toast. I love this stuff, and it’s priced reasonably. Obssessed with the NARS one!